TOG anticipates higher revenue during high season from sales order of ophthalmic lenses from the EU, USA, Australia and New Zealand emphasizing on the distribution of premium-segment lenses with high margins. The Company expects that sales orders will increase steadily between the end of 2018 and the beginning of 2019 due to the high season in the EU, USA, Australia and New Zealand. TOG’s strategy is to focus on premium-segment lenses with high margins e.g. 'ZENITH IDEN'– the superior progressive lens designed for the easiest adaption for complicated prescription, and “BLULOC” – the lens material series which helps filtered out 95% of harmful blue-light. TOG USA, Inc.’s performance has demonstrated a very high growth potential. TOG USA sees an increase in sales order from its local customers especially in value-added product category namely high-index lenses, high-impact-resistant lenses, photochromic lenses as well as BLULOC lenses. The company continues to expand its customer base from more than 10 key customers currently and is expected to break even by the end of 2019. 'ZENITH IDEN' first shipment at the beginning of October 2018 has received incredibly positive feedbacks from domestic customers. By the first half of 2019, the Company plans to expand this product to other countries in Asia-Pacific regions e.g. Singapore, Malaysia, Vietnam, etc. 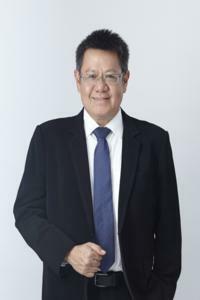 Torn Pracharktam, Managing Director of Thai Optical Group Public Company Limited (TOG), revealed the Company’s third quarter revenue of 434.26 million THB, decreased by 8.63% compared to that of the same period last year. Net profit is 13.07 million THB, with 4.28% margin, decreased by 72.51%. Net profit decrease was significantly caused by the decreasing sales in the value-added segment. Thai Optical Group Public Company Limited (the Company) or TOG was established in 1991. TOG is Thailand’s largest manufacturer and distributor of ophthalmic lenses and one of the leading independent global manufacturers. In addition to being the first Thai company to manufacture lenses for domestic and international original equipment manufacturers (OEMs), it markets the products under its own brand “TOG”, “Excelite™”, “ONE”, “DISCOVERY”, “FREEDOM”, “MAXIMA”, “SHADE”, “ZAPHIRE”, “BLULOC” and “ZENITH”. The company’s core business comprises of four units: organic lens, mineral lens, prescription lens, and other products and services – including glass mold manufacturing for plastic lenses, hard coating, multi-coating, glazing service, and trading. The Company, with a registered capital of 475 million Baht, is a publicly listed company on the Stock Exchange of Thailand, using “TOG” as a trading ticker symbol.